mon petit lyons: Blogiversary Giveaway Winner (and some little extras)! 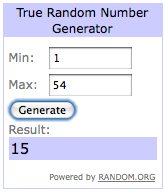 Blogiversary Giveaway Winner (and some little extras)! Congratulations, Kristie - some cool stuff is headed your way! Once you are paired up, you can agree on swap terms with your partner, so it could go a lot of ways, but you have input! I'm excited! Awesome! I was just procrastinating on my homework by looking at Ottobre online, then I checked my google reader and saw that I won! Thank you so much! I am super excited. man, i totally missed it. happy belated blogiversary!! Thanks for a great giveaway and congratulations to Kristie! !